BAKERY by frothy monkey is expanding + moving. Hamburger buns, hoagie rolls, laminated pastries, and wedding cakes will be a few of the new products added to our line of wholesale breads and pastries. When we opened our BAKERY by frothy monkey retail and wholesale operation on Fatherland Street in East Nashville in 2015, we signed a short term lease knowing we would quickly outgrow the space. Since then, we have exceeded our goals for growth and have become limited in our ability to keep up with demand. We identified a new Nashville home for our wholesale production space at the end of 2017 where we are currently building out the 7200 sq ft space into BAKERY production, warehouse, and offices. We will be closing our East Nashville brick and mortar store on March 31st and transitioning our retail operation to selling products through the Frothy Monkey cafes as well as at Farmer’s Markets, and pop-up shops. Our bread CSA program and catering will continue and expand as well. Specific dates and details will be announced as they are confirmed (based on construction schedules). We are looking forward to fulfilling Nashville’s growing need for high quality (and tasty!) artisan bread and pastries! 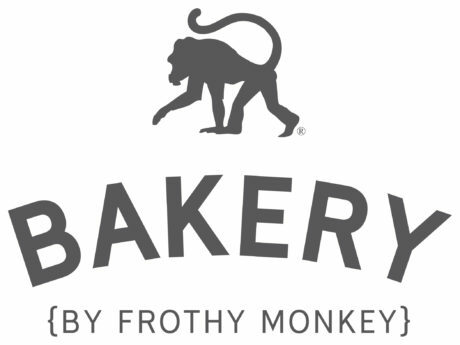 More information about wholesale products and catering for private events, weddings, and more can be found at frothymonkeybakery.com or by calling 615-600-4756 x5.